Do you smell? Perfumarie Founder and CEO Mindy Yang would like to know. Hence the reason you’ll find this very question inked permanently on the steps leading up to the “discovery studio, multi-sensory tasting room, retail lab, and open-access event space for experience” opened by the native New Yorker in November 2017 in SoHo. Upon entry, earthy aromas, white florals, and hints of fragrances you can’t quite place intermix to give the space its own unique scent—the first premonition that Perfumarie is not your everyday fragrance store. 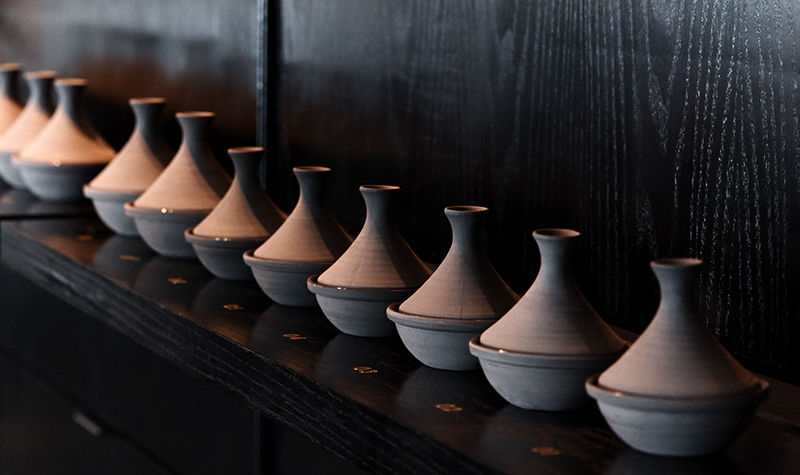 Further proof comes in the form of a row of curious-looking ceramic objects lined up along the studio’s minimalist black wall each housing a mystery scent, which together make up Perfumarie’s signature Guided Perfume Flight, a blind smelling experience that enables customers to sniff fragrances sans branding. With radical ideas like this, it comes as no surprise that Yang is on a self-imposed mission to disrupt the fragrance shopping experience as we know it. And this suits us just fine. 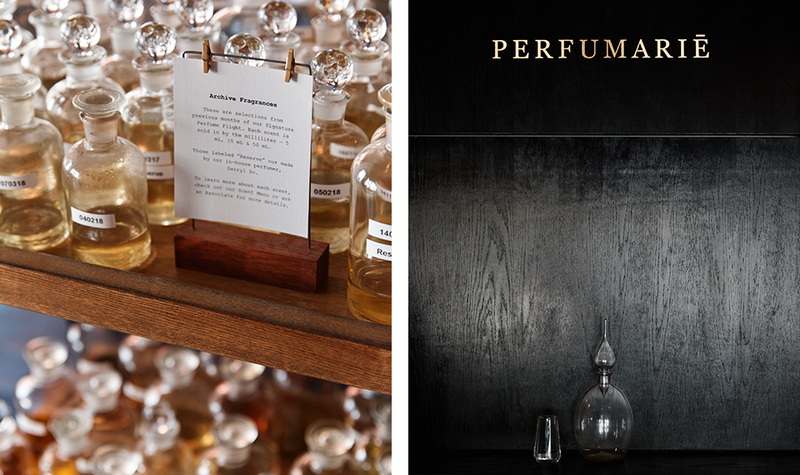 On a rain-soaked afternoon in late spring, we stopped by the discovery studio on Lafayette Street to discuss with Yang everything from the genesis of Perfumarie and the multi-sensory, immersive events taking place on-site, to subverting the status quo and the scents New Yorkers can’t get enough of. Why do you choose to base yourself in downtown NYC? Mindy Yang: I grew up in Queens but went to school upstate. I moved back to the city as soon as I could and found myself in the East Village….Living in such a multicultural vortex, I feel very spoilt because every kind of food in the world is basically at your fingertips, and the same is true of music and fashion. I think in New York, we’re more empowered to be who we are, and I love how direct everyone is. It’s kind of efficient, and a lot more fun. People are more open to exploring their boundaries. Also, I think what’s really special about this place, is that you can be anonymous, you can exist, you can run around, do what you do, be left alone, but then you can have those moments where you’re alone in a café, and sitting there next to you is someone really well known, maybe a celebrity or an entrepreneur who inspired you or the author of a book you just read. I’ve had all those moments in this city, and I think it’s magical. How has the city inspired you from a scent perspective? MY: Well, this is a very smelly city. Every scent has earned its place here; even if it’s pungent, there’s a reason for it. Every season has very distinctive scents, as does every neighborhood, every bar. And now brands are getting into scent branding. I think scent makes your moments more memorable; it connects directly to your memory and your emotions before you’re even able to process what the thought is in your brain. Do you have any favorite stories regarding scent in New York? MY: I’ve heard so many different stories that involve scent in this city including one about Warhol. As the story goes, Warhol would have an amazing night out and then he would put the T-shirt he was wearing into a ziplock bag to be archived so that whenever he needed to go back to that moment, he would just smell it. Once you start to understand that scent really does take you back to a particular moment, you can then honor an occasion with a scent, like, I am going to get married and I am going to mark this occasion with a scent and all my bridal party will wear this same scent. And then whenever you wear or smell that scent again, it’s going to remind you of your wedding day….It’s just a really nice way to add romance to your moments. What are the aromas that have become synonymous with your New York? MY: I really love the scent of concrete around this time of year in spring when all the cherry blossoms and flowers are dropping. It’s a smell that is dewy, grassy, raw, almost sappy with the flower petal wetness and this really cold industrial concrete. To me, it translates to have a little bit of a fig note to it. Tell me about the genesis of Perfumarie; what sparked the initial concept? What did you set out to achieve? MY: I spent a decade in my 30s working in fine fragrance. I created fragrances and had a brand that I helped launch around the world. It was a very informative time. Basically, I was wide open, able to tour around the world, meet perfumers, and talk about my collection and things that I’d worked on. It was glamorous, everything I had wanted. But then I was like, wait a minute! There is something that’s not sustainable with this picture….I was watching how the industry was shifting, how retail was shifting, how people were buying differently, and then along the way, I noticed that people were starting to shop online, which is not a real sensory experience. In the US alone we’re launching over 2,000 fragrances each year, so how would anyone ever get his or her nose without really experiencing the scents. Usually, the department store shopping experience is less than stellar, especially with perfume. You would normally select a brand that you know because it’s safe or you read about it, and if there’s someone awesome at the counter then you’ll have a good guide but if not, you’re on your own, and it’s a lot of money to spend on something you have one second to make a decision on. So, you’ll pick something based on the packaging, or based on one spray but the top note is really only going to last for a few seconds, so people are making judgments without truly wearing the scent. How did this realization inform Perfumarie and the experiences offered on-site? As a space, we always wanted to be dynamic with programming. We do training for the industry, we recently trained Dior; we host workshops and panel discussions; and then during the day, seven days a week, we’re also a retail outlet. MY: I’m a little biased but I eat at Saxon + Parole. I go there about twice a week. I don’t know if they still have this particular drink as the menu is very seasonal, but the lobster butter and saffron Umami Old Fashioned really drives it home for me. Another really perfect dish there is the mushroom pot, it is basically a mushroom pâté but it tastes like truffles. It’s like a mushroom truffle mousse and it’s so amazing. MY: I really love Central Park and the Botanical Gardens. I go to the Orchid Show every year with my mum and my grandma. I can spend all day there. I love the jungle, rainforest vibe. I love being around fresh herbs and plants. Tropical foliage speaks to me. 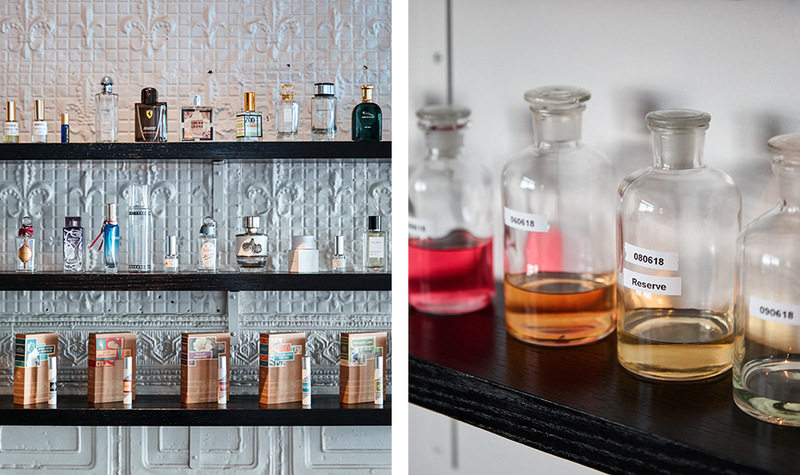 Have you found that there are particular scents New Yorkers seem to be drawn to? MY: I think New Yorkers really like woody, inscensy, unisex scents and nowadays people are leaning towards more minimal versions of things. I think we’re definitely bolder, especially women. We’re not married to your typical white florals like so many other places.